Catcher Jesus Montero (21) of the Scranton/Wilkes-Barre Yankees, International League affiliate of the New York Yankees, in a game against the Norfolk Tides on June 20, 2011, at PNC Park in Moosic, Pa. Montero is ranked the No. 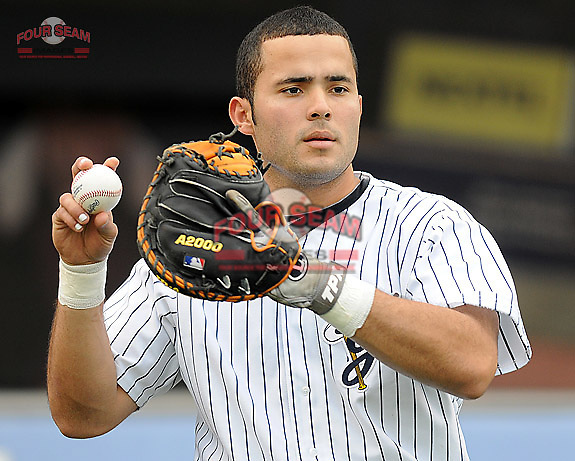 1 New York Yankees' prospect for 2011 by Baseball America. (Tom Priddy/Four Seam Images).